Don't leave a mess for your loved ones. Instead, leave all the information they need to take care of your belongings, business affairs, and wishes. 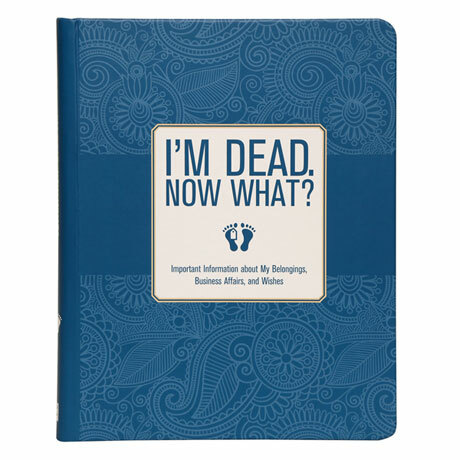 This practical and not at all morbid book walks you through the important stuff: personal information, medical information, key contacts, dependents, documents, financial information, insurance, who will care for your pets, how to handle your email and social media accounts, personal wishes, last words, and other vital details. Hardcover, 96 pages.